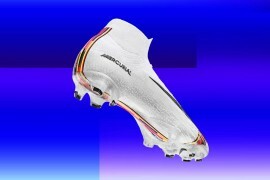 It’s one of the great questions in the World of Football Boots: if the Puma King is an actual King – where is it king of? The Pitch? The goalmouth? The Universe as we know it? 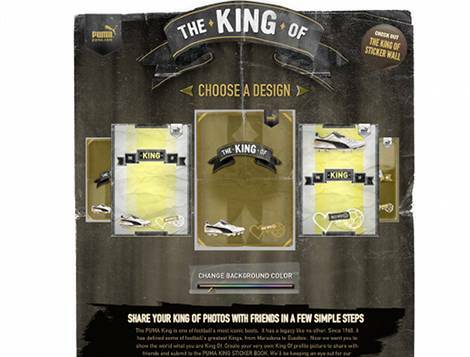 Well – Puma are inviting you to decide for yourself and crown yourself King of whatever you fancy! 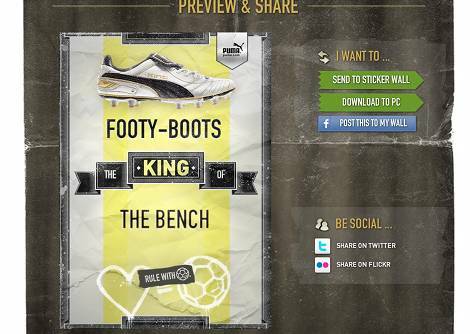 To celebrate the launch of the PUMA King Finale football boots and apparel range, this new Facebook application allows users to create bespoke poster images mimicking PUMA˘ new retro-styled ‹Ĺ›King Of'¦˘€žË advertising campaign. 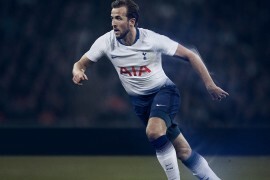 The easy to use ‹Ĺ›PUMA King of'¦˘€žË Facebook application engages fans by celebrating the assets they feel should be celebrated.' 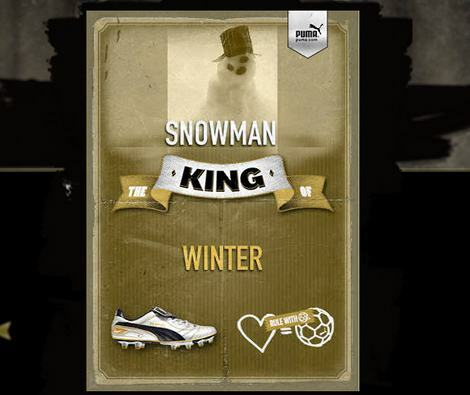 Not getting the credit for being the true king of the park, playground or football team? 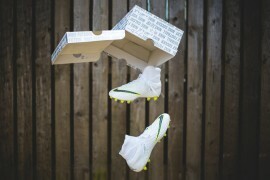 Or are you the unsung king of the overhead kick, the nutmeg or even own goals? 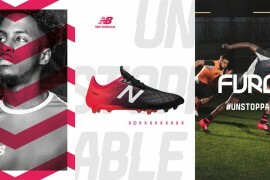 The new ‹Ĺ›PUMA King of'¦˘€žË application allows fans to add their image to a template of the brand˘ new advertising campaign, alongside text identifying where and what they think they˘€žËre the ‹Ĺ›king of˘€žË. After all, you can˘€žËt always rely on club managers, friends or competitors to give this sort of respect! You don’t have to ‘install’ the app to have a play with it and make some mock-ups, so it’s well worth a peek even if you don’t want to be King of anything! One of our favourite features is looking at other people’s designs on the ‘Sticker Wall’ to see what they’re King of! 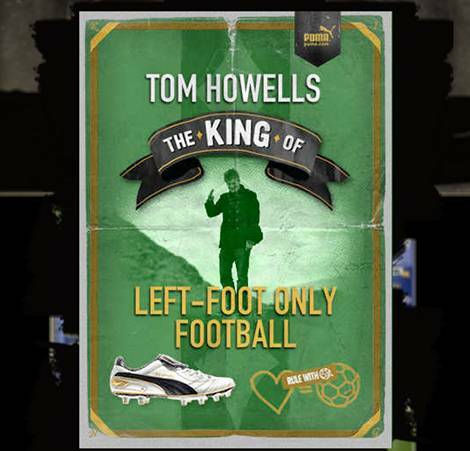 Like Tom here, who’s obviously got a sweet left peg, has created a great little poster. And – as always – there’s some who miss the point entirely. There are five different striking designs (for users who do not want to incorporate any photographs, there is a design that is text only) and a vast array of colour options as the backdrop.' Fans can then upload any image from their Facebook albums before entering a short phrase relating to what they think they are the ‹Ĺ›king of˘€žË. 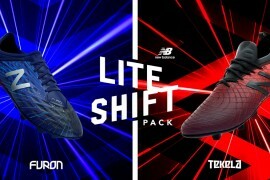 Try out the new PUMA ‹Ĺ›King of'¦˘€žË application by visiting http://apps.facebook.com/pumakingof.' 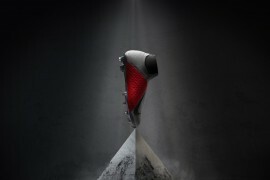 ' For more information about the new PUMA King range and other football related news, visit www.puma.com/football! Let us know what you end up creating in the comments section!